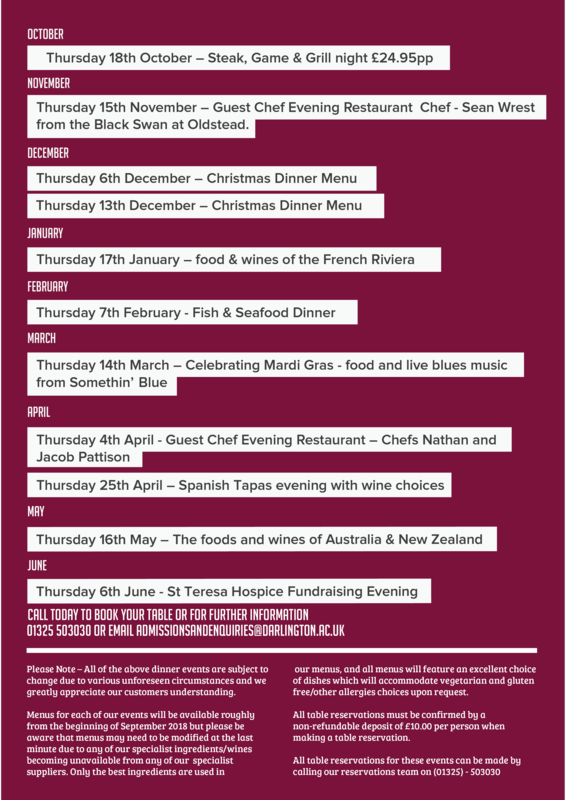 Outside of regular Glasshouse restaurant opening hours, we offer a number of exciting evening dinners (Thursday evenings only) across the academic year. Dinner reservations are essential and required at least 24 hours prior to the event. Evening bookings can be made between 6.00pm – 7.30pm. Please contact 01325 503030 or email admissionsandenquiries@darlington.ac.uk to book your table or for further information. We request that a £10 reservation deposit (non refundable) per person be paid upon booking.